A resource game for this century. 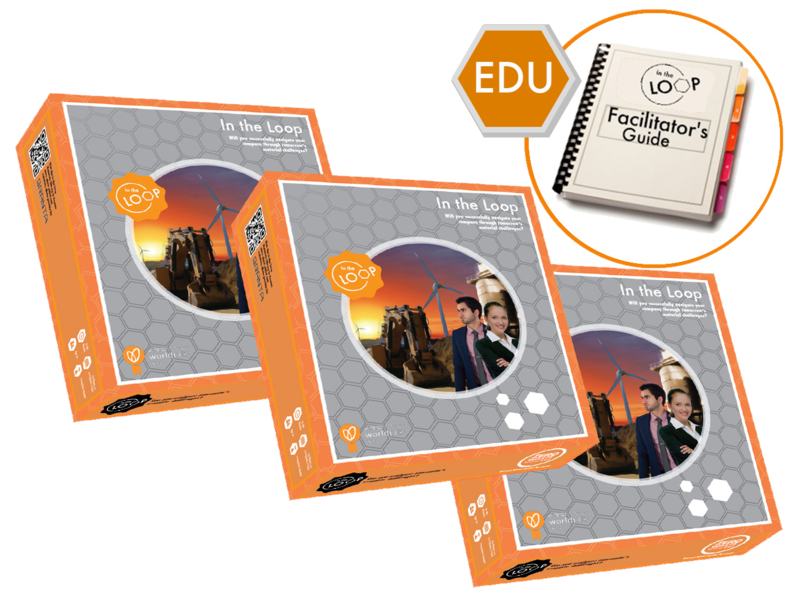 The In the Loop ® Educational Package is a discounted game package designed for use in high school and higher education. Dare students to problem solve their way to solutions for today's resource challenges. What will my In the Loop ® Educational Package contain? >>Three Copies of the IN THE LOOP ® game - play with up to 35 participants! Anticipate more participants? Contact us to arrange additional games. Age 10+; not suitable for children under 36 months. Compare with our other packages here. In the Loop Games AB is a limited liability company registered in Sweden. Is In the Loop the game for you?